TU4C and Met-Rx / NBTY Helping Hands challenged L.I. Athletes to Complete 10,000 Hours of Community Service during the 2013 Holiday Season! We gave away $5,000 in Sports Grants! Recognizing that community service helps promote responsibility and character in young people, TeamUp4Community partnered with Met-Rx and NBTY Helping Hands in the “10,000 Hours L.I. 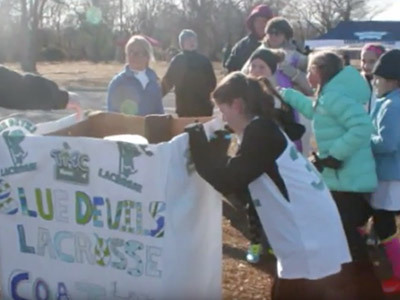 Holiday Sports Challenge,” an interactive contest that challenged our Long Island Athletes to complete a combined total of 10,000 hours of community service this past holiday season. This challenge encouraged community service among student athletes between the ages of 6 and 24. The Challenge successfully completed submissions totally 19,597 hours of community service work performed by Long Island Athletes between September 1, 2013 to December 11, 2013. The value of their time served in the community is worth over $142,078 given back in service. 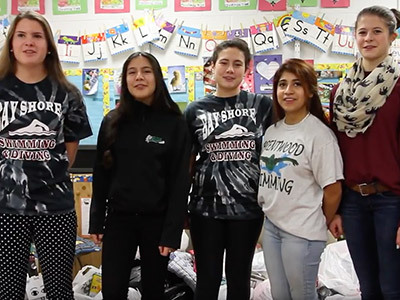 Team Up 4 Community nearly doubled their initial goal of completing 10,000 hours of community service work during this community service challenge. Thank you to everyone who entered and donated their time! Teamed Up for the Community by Volunteering Nearly 10,000 Community Service Hours. 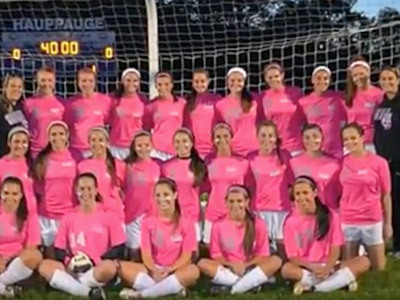 Former Hauppauge Student Alexis Gonzalez started Kicks for Cancer with Girls Varsity Soccer Coach Jessica Kulesa for Her Friend Courtney Tomkin who Battled Brain Cancer. View All The Entries on YouTube!